Once upon a magical time, I spent weeks carousing around the islands and beaches of Thailand in all my ’round the world trip glory. Ok ok, so carousing might be a strong word; the reality looked a lot more like me basking on beach mats, reading oodles of books while lying beachfront, gorging on fresh fish and spicy noodle dishes and imbibing a respectable amount of icy Chang beers. 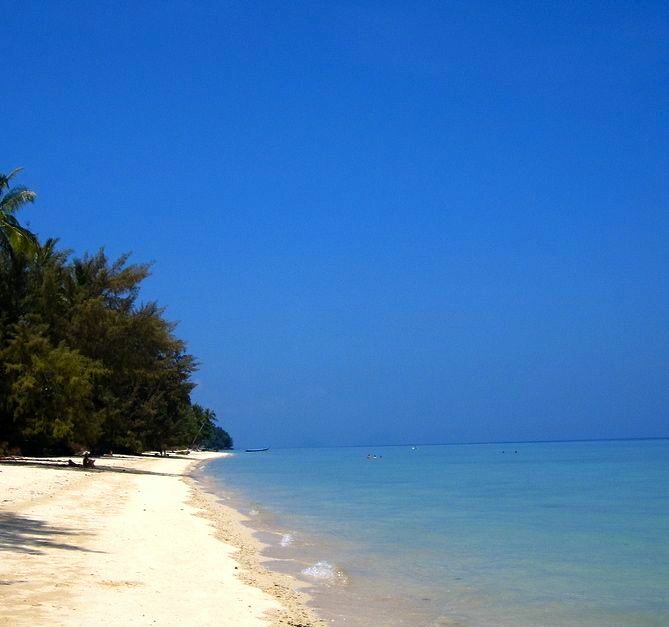 The photo above was taken on Koh Ngai island in the Andaman Sea. An incredibly small stretch of beach on the island is developed with a smattering of resorts, and its isolation is, yes, blissful. As far as nightlife or activities go, there’s not much to do — ok, there’s essentially nothing to do. And isn’t that the point? Traveling Bliss is a new, weekly feature showcasing extraordinary travel moments past with the goal of inspiring a slew of future travel moments for others. Nice post. I learn something totally new and chalenging on blogs I stumbleupon everyday.